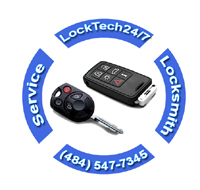 Car key fobs, car remotes, and car clickers replacement service at LockTech24/7 is your best choice. That is to say; replace your auto key fob or remote control, easily. Car key fob replacement, the advanced technology that takes your car key to a new level. As for today, a technology of electronic chip keys gets advanced, quickly. It’s important to realize, there are so many key fobs and remote in the automotive market. For instance; some of the key fobs are aftermarket brand key & key fobs, and other key fobs are original parts of the automotive manufacturers. As for today, time roll-on and car key fob replacement get more advanced and hi-tech. That’s why we called our company LockTech24/7. With this in mind, we are the highest lock tech security professionals. For this reason, we can provide you with an automotive key fob and remote keyless entry to your vehicle. Automotive Push to start ignitions can take you to a new challenge of car key programming and key fob replacing service. Push-To-Start car ignitions are comfortable but can be costly, depending on your car brand and model. Car key fob replacement here for your service. Keyless entry remote has no connection to the electronic computer chip in the head of your car key. A “clicker” is only gain entry to your car. It is very comfortable features. Yet again, a clicker can only gain keyless entry to your vehicle. In order to start the engine of your vehicle, you may need a mobile car key service. There are some aftermarket brands of key fobs that look like the part you need, yet you may know it might not your on your vehicle. You always may stick to the part number and the fcc# of your key fob. Remote key head means you have a key that has a computer chip plus a motherboard of a keyless entry system. Having a key head remote for your vehicle makes thing easier to operate your car. A lost remote head key replacement done by LockTech24/7 can ensure you a pleasant waiting time when we create your new car key remote. That is to say, a full suite of automotive locksmith service. Programming transponder car keys are LockTech24/7 fastest locksmith service alongside with emergency lockout services! Most of the time, programming your car key can take longer than cutting your transponder car key. However, we are ready to program any car key or key fob, as well as a clicker or key head remote. We are here to help, anytime you need automotive keys locksmith to come to your aid, day or night.